"A stunning job of research, observation and reporting." -- Larry Gelbart, co-writer of Tootsie and writer on TV's "M*A*S*H*." In 1982, two superbly talented and driven men--director Sydney Pollack and actor Dustin Hoffman--collaborated to create what became an enduring classic: a movie about a serious, out-of-work actor who takes on the challenge of playing a woman in a TV soap opera and becomes a better man for it. 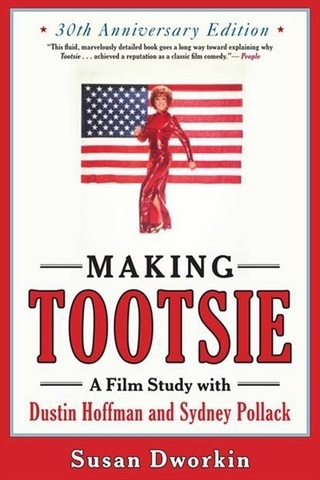 As the only journalist Pollack and Columbia Pictures permitted on the set and in the editing room, Susan Dworkin conducted in-depth interviews not only with its director and star but also with the costume designer, the film editors, co-stars Teri Garr, Bill Murray, and Dabney Coleman, and many others. She captures their voices while describing how the movie became an award-winning box office sensation and the classic motion picture that the American Film Institute rates as number two on its list of the 100 Funniest American Movies of All Time.